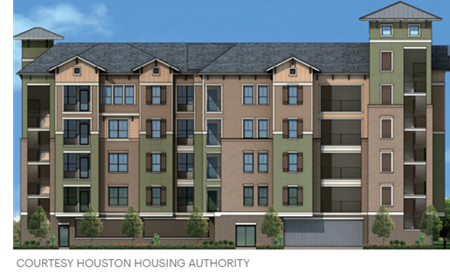 ​​​​ ​HOUSTON – The Houston Housing Authority has broken ground on Independence Heights Apartments, the city agency's first new affordable housing project in a decade. The city’s affordable housing agency is under construction on Independence Heights Apartments, a mixed-income community, located at 302 Crosstimbers St., in the Independence Heights neighborhood. Units in Independence Heights Apartments are designated for eligible low-income renters, earning at most $41,500 a year and supported by a public housing voucher.